Omnomnom Books: HOW OLD IS LADY GAGA?! HOW OLD IS LADY GAGA?! She may or may not be a transvestite or a member of the Illuminati. That's besides the point. The question isn't who is Lady GaGa, but how old. The answer? Approximately infinity. Exhibit A: The cover of the latest Rolling Stone, featuring Lady GaGa, "born" 1986. 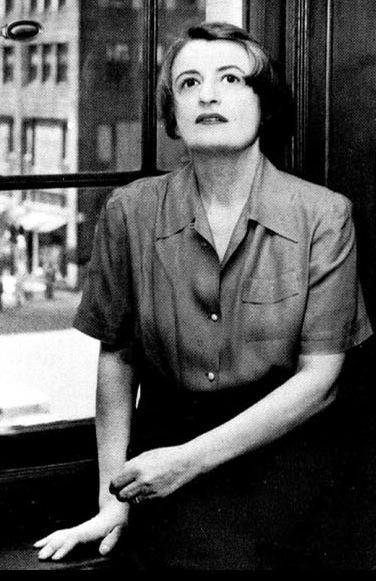 Exhibit B: Ayn Rand, "born" 1905, "died" 1982. DOES ANYONE ELSE SEE THIS?! 1) Like GaGa, no one can read Dagny's poker face. 2) "Beautiful Dirty Rich" is pretty much Dagny's anthem. 3) Dagny wants your bad romance too. So far, she's had three. 4) "Alejandro" is a Spanishy name, which rhymes with Dagny's childhood sweetheart, Francisco, ALSO a Spanishy name. 5) When Dagny is in Galt's Gulch, she too has no telephone service and can't hear a thing. Ultimately, the evidence is indisputable. GaGa/Rand is one and the same. Furthermore, she spends eternity recreating herself as a celebrity with each generation. I know what you're thinking. The logic of this post is so complex, how can you tell if it's true?! It's okay. You can trust me on this. I was a Philosophy minor.